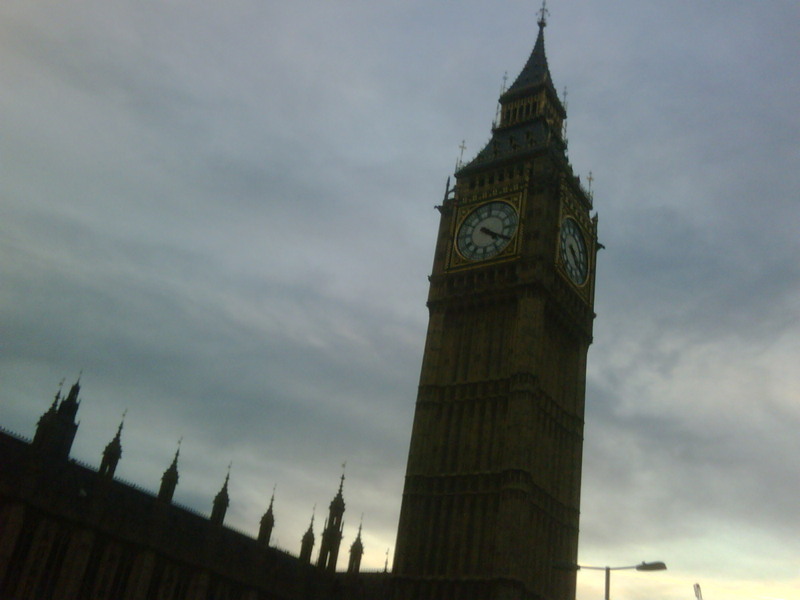 Yesterday Paul and I visitied the Ecommerce Expo in London. After an early morning leaving Devon and after driving through the snow on the M25 and battling our way through the early morning rush hour on the tube we sure were happy to reach the Olympia Hall in London. Doing a sizeble chunk of business online, it was interesting to visit a show geared up and focussed towards ecommerce and the range of exhibitors was fairly impressive. Anything from web design firms who can get you online to web hosting firms to make sure your website is always available. And then from sales and marketing companies through to fulfilment and delivery companies – with everything in between. Of course the big boys like Google, Paypal etc.. etc.. were all there promoting their own products and services and running masterclass sessions. We attended the Google University Advanced Masterclass in the afternoon and learnt a thing or two – but of course we do think we are experts already! 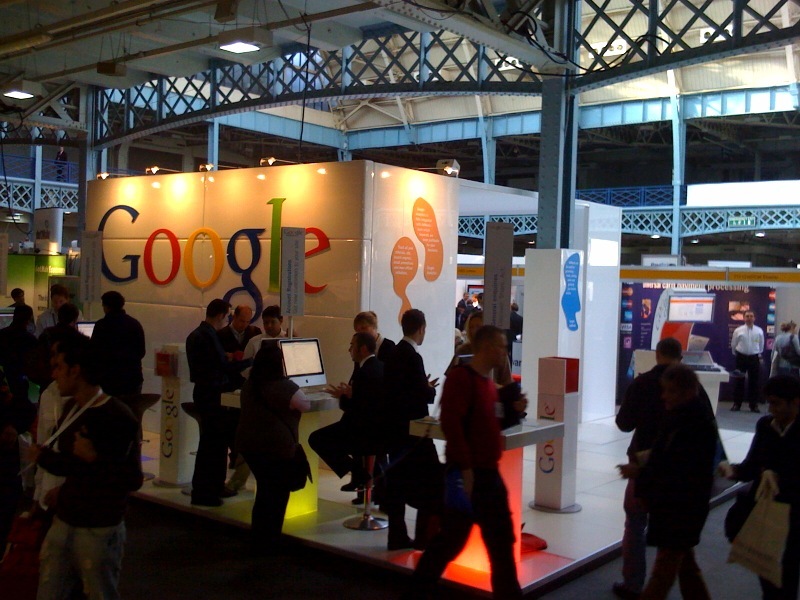 We do a lot of online advertising using Google AdWords – so it was good to be able to speak to people from Google. The most interesting part though, was the look on faces when I said our customers buy wormeries and worms from us online! 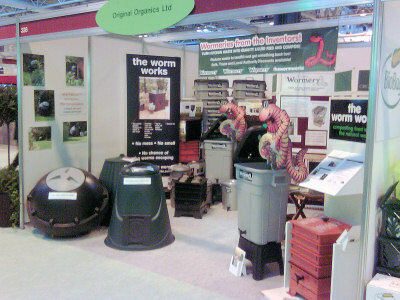 We’re exhibiting at the Recycling & Waste Management show this year for the first time. It’s the first year that we’ve exclusively had the worm works as part of our range so we thought we would bring it down along with our Classic Wormeries and a brand new product too which we’re launching officially next week (more on that soon – watch this blog!). It’s a rubbish show – no really!! But it’s the biggest and best rubbish show you may wish to visit if you’re a Local Authority, a big business / corporation, in the recycling industry or if you’re just interested in the latest and greatest in the world of waste management and recycling. It’s great the focus that people are putting on recycling and some of the tools here that enable recycling of almost anything and everything are very impressive. It’s truly wonderful to see so much effort being put into recycling and initiatives that encourage and enable recycling. However, there is just one thing that concerns me slightly and that is the realisation that a lot of the machinery and plant tools themselves to process recycling on a large scale actually use a massive amount of fuel and resources to run. I’ve seen some impressive machinery so far. Including shredders that can accept whole rubber tyres and turn them into rubber chips, even seperating the steel you find in many tyres. Watching the video demonstrations of huge tyres literally being thrown into a giant shredder was really quite impressive – but the fuel that they use to get the power required to carry out it’s laborious job must be immense. Now, I know that the majority of it is necessary – and the fuel required and carbon emissions spent to recycle outweigh the cost of excess landfill and manufacturing with virgin materials – but it’s still food for thought. It does, however, demonstrate how even more important it is that we think more about the waste we create at home and what we can do more locally to avoid further processing where possible. One example of this is the re-using of plastic carrier bags, or opting for the natural jute alternatives instead. Another is actually minimising on the use of packaging in the first place – where possible. Another is much closer to home (for me anyway!) and that is composting at home. Many councils provide ‘brown bins’ and take some or all food / garden waste away – but by processing it in the home in a Wormery / Compost Bin you’re removing the work the council have to do to process it – effectively helping to reduce their fuel consumption at the same time. Not only that – but you get something back too… the compost and liquid feed to use in the garden. Rubbish – it’s big business!